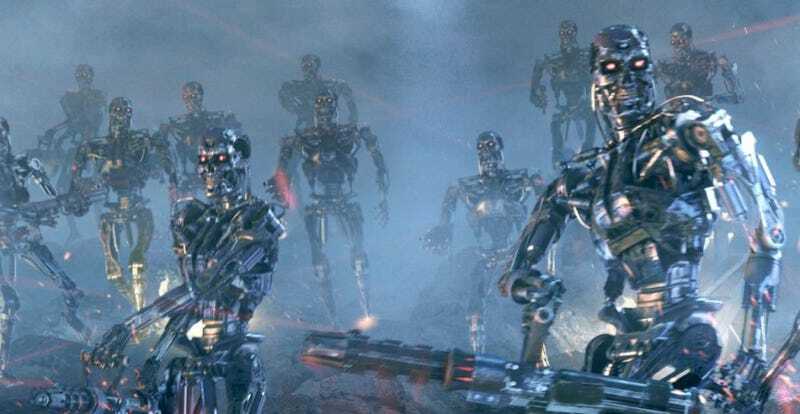 Over the past several months, many of the world’s most famous scientists and engineers — including Stephen Hawking — have said that one of the biggest threats to humanity is an artificial superintelligence. But Linus Torvalds, the irascible creator of open source operating system Linux, says their fears are idiotic. He also raised some good points, explaining that what we’re likely to see isn’t some destructive superintelligence like Skynet, but instead a series of “targeted AI” that do things like language translation or scheduling. Basically, these would just be “fancier” versions of apps like Google Now or Siri. They will not, however, be cybergods, or even human-equivalent forms of intelligence. We’ll get AI, and it will almost certainly be through something very much like recurrent neural networks. And the thing is, since that kind of AI will need training, it won’t be ‘reliable’ in the traditional computer sense. It’s not the old rule-based prolog days, when people thought they’d *understand* what the actual decisions were in an AI. And that all makes it very interesting, of course, but it also makes it hard to productise. Which will very much limit where you’ll actually find those neural networks, and what kinds of network sizes and inputs and outputs they’ll have. The whole ‘Singularity’ kind of event? Yeah, it’s science fiction, and not very good Sci-Fi at that, in my opinion. Unending exponential growth? What drugs are those people on? I mean, really. Even after all these years, Torvalds can still troll with the best of ‘em. And I love him for it.